Fans of the University of the Philippines Fighting Maroons are hailing their team for a gutsy peformance throughout the UAAP season despite an 81-98 loss to back-to-back champions Ateneo de Manila Blue Eagles on Wednesday. 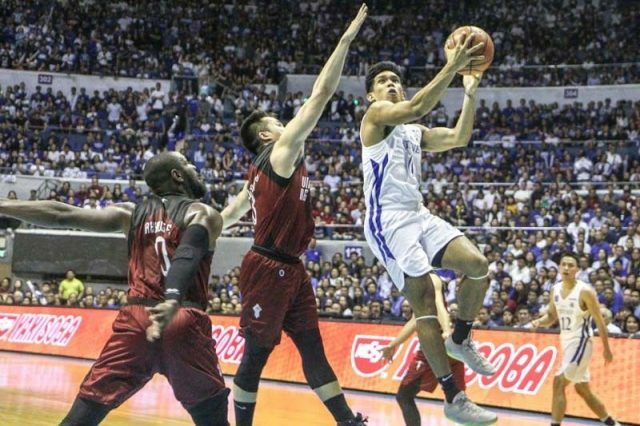 Ateneo’s Thirdy Ravena had 38 points, 6 rebounds and 6 assists to lead the Blue Eagles to another trophy. He had 23 points in the second half to help the Eagles power past faulty defense and foul trouble in the first half. UP’s Paul Desiderio had 15 points in his last outing for the Maroons. Credited with the resurgence of the men’s basketball program, he was showered with praise from the UP faithful. Other fans are looking for great things to come in the future despite the loss to their next-door neighbors. Congratulations to the UP Fighting Maroons for a well-fought, almost perfect season! The UP men’s basketball team saw mostly futility in the 32 years since their last trophy in 1986. They made the Final Four in 1996 and 1997, but failed to make it past the semi-finals. From 2007 to 2013, they finished last in the league six out of seven times and suffered three seasons without a single win. The rise of new talent in Desiderio, brothers Juan and Javi Gomez de Liano, and Jun Manzo as well as the arrival of Nigerian center Bright Akhuetie signaled the start of a new era. They started their 2018 campaign with a lackluster 3-4 record but went 5-3 in the second round. A superior quotient gave them the third seed over usual favorites La Salle and FEU. In the semi-finals, they overcame the twice-to-beat Adamson Falcons through an 89-97 overtime victory. UP head coach Bo Perasol at a post-game huddle had nothing but praise for his players. “I want you to be proud. They are proud of you. Be proud of yourselves. We were in the finals when no one expected us to be,” he said to his players. “You sacrificed so much. That’s why they’re here,” he said while pointing to the crowd. In 2019, UP will be led by blue chip acquisitions Kobe Paras and Ricci Rivero, who are transferees.